Tangerine Dream who renews contact with Peter Baumann and loses Chris Franke. A whole paradox! It's a piece of the history of the Dream that ends, or a new page of it that is writing, it's according to, with the making of “Optical Race”. It's a Tangerine Dream amputated of his master in sequencing and rhythms, although they both sparkle here with vibrancy, that the writing of this album begins and will be released on Peter Baumann's new label; Private Music. A label that will offer some pearls of sweet and soft EM such as this album, yes yes, and those of Chris Franke (Pacific Coast Highway) and Eddie Jobson (Theme of Secrets). A newcomer, Ralf Wadephul has contributed in the composition of the album and was a member of the Dream for the North American tour which follows “Optical Race”. According to Internet gossips, he left the band at the end of this tour because of implacable different (is it so?). Set apart the loss of Franke, Tangerine Dream undertook also an enormous technological bend with a massive use of digital instruments that will change forever the sound of the group for a more mathematical one. A sound to the colder colors where every step, every reorientation and every change of structures is made in the abruptness, in a certain analytical coolness. We are at the beginning of the Melrose years. In the years where Tangerine Dream goes out to conquer American and is sold, yes yes, to the use of making soundtracks of a rather average quality. These years start from “Optical Race” and go beyond 1995 when the confusion reigns while the Dream is always at Miramar. But for the history makers, the Melrose and Seattle years end in 1995, no matter what. Straightaway they are not my favorite years. Tangerine Dream changes literally his sound, sounding much more like a movie music maker band, and tries fiercely a commercial breakthrough in the states. For the fans of the 70's, it was the end of a great era and some will go as far as to say that Edgar. should have changed the name of the band. Except that Tangerine Dream had already undertaken a more commercial bend, with shorter and livelier tracks, with the publication of Le Parc and Underwater Sunlight. We can even add the soft and poetic Legend to this list. Thus we should have understood that inexorably, the Dream would change of musical skin. And we shall also understand later that the soul of TD was well and truly Edgar Froese. Despite of all these recriminations, as well as the acerbic criticisms, from the media and the fans, “Optical Race” is not that bad. A little as Le Parc, but with a colder tone, “Optical Race” is mostly structured on short melodious, rhythmical and melancholic tracks which are tied around the same musical link. As for me, it is doubtless the most beautiful album of Tangerine Dream in his sonic attack of the American commercial temples. And this, in spite of some pearls of ineptitudes. The way "Marakesh" is structured has caught my hearing instantly. A soft veil of gloom falls, and the first sequences skip as chunks of wood on the muffled curves of powerful pulsations. "Marakesh" attacks our ears mellifluously before forcing a rhythm of kind of clanic synth-pop. This rhythm switches curtly for a tribal approach of the Middle East and "Marakesh" presents a series of rhythmic permutations as drastic as unforeseen. The sequencing is very good and the harmonies are tinted by seraphic voices which hum on a rhythm which goes from a great e-rock to some ethereal tribal dances to return to the structures of sequences and pulsations which drown themselves in violent electronic percussions. This is a good track that mixes perfectly the wild ardour and the tenderness in a solid rock and harmonious pattern. But there are tracks that are rather ordinary. Beautiful, but ordinary, if we consider that we are talking about Tangerine Dream and the perfumes of a tribal approach of the Middle East float everywhere. We are in the American years and the Dream tries to seduce a radio public fond of New Age. "Twin Soul Tribe" and its flute without life is a perfect example. It's a track rolling on the same pattern which repeats constantly and whose fragile nuances cannot save it from boredom. I also think of "Atlas Eyes" and these insipid voices which hum on a rhythm as wild as "Marakesh" but which is also a weak reflection of it. And there is the title-track which is big speedy e-rock with cold harmonies but which presents a fascinating harmonious spiral and finally to "The Midnight Trail" which sounds like a prelude at the numerous soundtracks to come. I don't say that it's all that bad, although there is one or two, but we speak about Tangerine Dream here! A Tangerine Dream that still seduces with "Mothers of Rain", the pearl of all, although I quite like the crescendic spiral of "Turning off the Wheel" and its hypnotic aura of New Berlin School which breathes over some minimalists linear pulsations. Well, "Mothers of Rain" is a magnificent ballad which offers a beautiful bouquet of feelings with its percussions which run in their shadows and its harmonies of a synth which cries in solitary. It's very beautiful and it's doubtless what gives all its cachet to a track like "Cat Scan" which inherits a bit of this structure of sequences from "Mothers of Rain". In the department: I want to cry, there is the very beautiful "Sun Gate" and its heavy rhythm of synth-pop ballad of the still beardless years of MTV. The solo of guitar is to tear up any soul which refuses to say that it's beautiful. Well, that’s another debate and it does the job! I forgot "Ghazal (Love Song)"? Not really. It's the kind of thing that would have charm the teenagers always plugged on the selling dreams machine that is MTV with a beautiful ballad which nails the feelings at big knocks of drums. Still there, I don't say that it's not beautiful, but there is a strong nuance between good and beautiful. And it's all the heart of the debate of Tangerine Dream's new musical tangent, of “Optical Race”, which is very pleasant to hear by the way, and the Melrose/Seattle years. Like it or not, the breakthrough, shy goes without saying, of Tangerine Dream was going to advance the cause of EM on the American scene. I know to have seen a bundle of albums there land in the record shops over here in Canada. I’m thinking in particular of the label Innovative Communication with artists such as Software, Mind Over Matter and Baffo Banfi which became to sell in the HMV. There were also the labels XYZ and Erdenklang. The proof is that in spite of everyone, the Dream will always be a key group, a precursory group. But that doesn't ennoble totally “Optical Race”. And frankly, the adventure turned into a nightmare. The Yankees seized of the New Berlin School style to dilute it in insipid New Age, into music for meditation. It was the time of the common gods and their trickeries, as well as the Zen movement. Thus it's between these waters difficult to navigate that the Dream was going to paddle, going with albums of a horrifying quality. Tangerine Dream who does New Age it's as if Rogers Waters would have kept the name of Pink Floyd to make some hip-hop! Slow synth layers spread their passive wings of which the contrasting tones float such as the breezes from an oasis of melancholy. 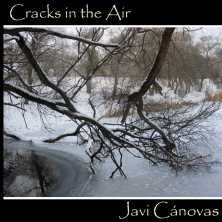 "No Place to Stay" is the entering door from Javi Canovas' 14th album; a quiet album, the den of contemplativity. After an album bubbling of clanic rhythms, released earlier this year, Javi Canovas comes back to present us a much more peaceful album. “Cracks in the Air”, a title which depicts with poetry all its musical structure, joins the somber meditative reflections that we found on Behind the Shadows in 2010. Set by 10 titles which vary between 3 and 10 minutes, the Spanish synthesist walks on Steve Roach's hollow territories, "One Existence", and sounds his chloroformic horizons, "Overtime" with an enigmatic album where the ambient music is tint of a restful musicality. "Fatum" embraces a somber aura of mystery with its sibylline breaths which grumble between the sinuous spaces of monoliths and raise sonic particles so much bitter as the sands from the deserts of rocks. We comfortably sit in Steve Roach's Australian territories, percussions less, with an album filled with dark winds. Winds witnesses of a faded civilization while that "The Structure of Illusion" illuminates a little the musicality with fine chords of an acoustic guitar which commune with themselves in melodious winds. Dreamer, "Paranoid Voice" lies down its somber strata filled of nostalgia in the soft winds of voices which sound like the worn breaths coming out of those Vuvuzela. "Memory Dismantled" marries a little the abstruse ambiences of "Paranoid Voice" by spreading a sonic shroud where the veiled singings of magnetic resonances bring us towards another level of mystification. The synth lines with delicate breaths of oracles rest on these darker strata, they are even more lugubrious, showing this surprising parallel between the blackness and the brightness which crosses the 56 minutes of “Cracks in the Air”. I say 56 minutes because the title-track offers a bouquet of sequences which dance calmly on an attractive ambient structure. This is a great based sequences track which shows all the rhythmic prose of Javi Canovas. After this fleeting rhythmic interlude "Aevum" plunges us back into the morphic sweetnesses which filled the airs of Steve Roach's Structures from Silence. It's a very beautiful ambient title which completes marvellously the too short "Overtime", while that "Ultimate Nature of Mirage" turns around the same torments of these wild winds which moved "One Existence". A little as in Behind the Shadows, “Cracks in the Air” inhales these fascinating figures of ambient music which drinks of Steve Roach's meditative spheres and even Robert Rich. It's an album of dark ambient music, even very sibylline, where a subtle duel between the tones of black and white clears a restful musicality. This is why I do love ambient music. After the very strong Roots and Legends from the North, released at the beginning of this year, Johan Tronestam invites his fans, and those who miss a possible return of Jean Michel Jarre to his post Oxygene basics, to another musical rendezvous of high quality. 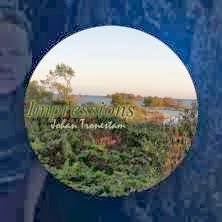 Available only in a downloadable format, “Impressions” is Johan Tronestam's musical point of view on the art of composing EM. The Swedish synthesist delivers 9 compositions where the music is literally inspired by its titles and vice versa. But beyond this conceptual approach, Johan Tronestam inflates literally our ears with a hard-hitting album where fascinating rhythms are fired by movements of sequences to the acrobatic feats which scoff at the order of the mathematics and the cosmic melodies are blown by synths which refuse the roads of improvisation to make some obsessive harmonies. From the first sequences which oscillate with fury, we understand that Johan Tronestam entails us in his universe of leaden rhythms. "Acceleration" takes the shape of a funky e-rock with pounding sequences which wriggle in all senses and run with percussions to the symmetric hammerings. Fine stroboscopic serpentines and sonic falling stars are winding here and there a lively rhythm of which the nuances in its beat give the impression of splitting up a bit the swiftness. If the rhythmic nuances are one of Johan Tronestam's strength, the way that he makes singing his synths remains the quintessence of his artistic approach. The synth solos are as much furious as the rhythm and supplant these hollow voices which give a Gothic depth, both to "Acceleration" and to the whole of “Impressions”. There is no respite. And if the influences of Jarre threw a cosmic balm on "Acceleration", it's the same with "Seen from Above" and its harmonious rhythm which leads us towards another vertiginous structure where sequences are raging of their crisscrossed movements, one hyper lively and the other very melodious, in another good cosmic electronic rock. The rhythm is infectious and the harmonic envelope is more nuanced with these beautiful synth solos in the clothes of cosmic trumpets. Solos which haunt the hearing, even when flooded in a heavy rhythm. There are not even 11 minutes in the meter that we are plunged at full ears into an album as attractive as Roots and Legends from the North. "Clouds" brings a bit of serenity in our mind with a beautiful airy rhythm. The sequences are always so catchy, but they skip with confidently in the breezes of the ethereal voices and in soft solos in tints of nostalgia. But there is even softer, more ambient with "A Ancient View", a track where the wandering spirits of Jarre roam as a bard ghost with beautiful harmonious solos which spread their melancholy on a soft carpet of cosmic mist. The ambient ashes of "A Ancient View" go beyond the intro of "The Pacific Ocean" which draws its rhythm on good electronic percussions and echoing loops which coo in some kind of typists' strikings tones. A beautiful allegorical serpentine is swirling with its contrasting harmonies around a stoical rhythm which ennobles its charm with striking synth solos which remain always so silky, so harmonious. And the more we go further in “Impressions” and the more our ears remain conquered. Johan Tronestam handles marvellously the art of well presenting his scale of rhythms and ambiences. "Polar Region" is a heavy, slow title. Even if the sequences are frivolous, the rhythm swirls such as a big shell on wet sand with good percussions which scatter their strikings with industrial tones and others more conventional. The hoarse breaths of ghost Didgeridoo throw a lugubrious ambience into this delicious down-tempo finely hatched in a long stroboscopic movement and well fattened by a bass line with viciously lively chords. This is very good and very catchy. I hear in the background a bit of a beat that will fit into a James Bond movie. It's the same with "The Challanger Deep" which dresses itself of a very sci-fi approach with cosmic chirpings which sparkle in a structure of rhythm of which the versatile movements beat in nonsense into a harmonious envelope a bit ambiospherical. The finale is going to blow your ears away! After a "The Road to Germany" which is similar to "Seen from Above", "The Moon" presents another lively beat with a movement of sequence which makes its keys waddling in the jingles of metallic percussions. If the rhythm is sober, the harmonious approach which settles down forms a very nice musical itch with a synth which spreads its musicality in the shape of strata a bit darker. The contrast between the Teutonic rhythm, the sibylline strata and the angelic harmonies is completely catchy. And this goes for this track as well as the whole of “Impressions”. The strength of Johan Tronestam is this disconcerting facility he has to marinade leaden rhythms to melodies as much catchy as the tempos which unstitch them. His universe is of nuances and subtleties which hook the listening and drive us in whirlwinds of rhythms with harmonious envelopes always very attractive. There are small jewels on “Impressions”; a very good album which is in the same lineage as the powerful Roots and Legends from the North. And if you read the chronicle I wrote on it, there is nothing more to add! Making music for a movie which doesn't exist. A movie which takes place in our head but that we would want to show to everybody. To say the least, to more possible people as it can be. Such is the vision of the Aural Music label. Such is also Christopher Alvarado's challenge on his album which aims to be a sound journey in the ancestral spiritual borders of the Aztecs. “Ancient Doors” is as much puzzling as fascinating. It's an album powerful of its uncountable synthesized impulses which paralyze implosive rhythms. It's also a very intense album where the synth layers to iridescent tones conceal many surrealist voices, where the undecided percussions build approximate rhythms, where the orchestral arrangements decorate film atmospheres, where the spectral voices draw spiritual choreographies and where the industrial noises take esoteric tints. But it's before all an imperceptible album which is going to please to the diehards of black atmospheres and to fans of very abstracted psybient EM. "Andromeda at Dawn" begins the sonic adventure with hesitating chords which are rocked by a enveloping aura of mystery. Ectoplasmic groans, disturbing knockings and fluty breaths decorate an intro where the atmospheres are as well sinister as charming. Percussions draw the debit of a gallop. The slow debit of a ghost metronome which beats and faints in some dense abstracted synth pad to the colors of blue powder. This absent rhythm which constantly gives the impression of exploding but implodes is “Ancient Doors” source of charms. The rhythms here are evasive and buried beneath dense synth layers adorned of aromas more psychedelic than harmonious. One has the vague feeling to float in a burning sonic magma and that these strikings of uncertain percussions weave an imaginary road towards an unreal world. If the avalanche of sounds and tones may disrupts a little bit the passions, "Civilizations" reconciles us with its beautiful Bedouin percussions which drum a hypnotic clanic rhythm. I'm hearing Mike Batt with these gurglings of a vicious bass line. This delicate oniric intro is violently snatched by a thick cloud of eclectic tones which paint an impressive Gothic industrial pattern, in particular with these noises of chains and these lost voices which try to wrap "Civilizations" of an angelic approach. It's a good and very magnetizing track. "The Lock of Past" is an intense ambient track with the tribal approach of a tribe living under concrete ruins. And this is a bit the paradoxes of “Ancient Doors”. If Christopher Alvarado wants to impose musical structures of old ancestral people, he grafts to his music so many sonic particles that the whole thing is degenerating into an impressive magma of metal in fusion. Encircled into psybient structures, the rhythmic approaches are attractive and their attractions live in this intense fusion of sounds, tones and noises which slows down the pace. Let's take example on the cold and very acid "Dakini (Sky Goer)"; its frame of abstract rhythm freezes in a noisy industrial carousel livened up by jerky cawings. The ambiences are rich. We don't have enough our two ears to assimilate all this sonic energy which overflows in each track. "Dunes" and its beautiful orchestrations which wrap up some delirious voices and also the intriguing "Lady of the Skirt of Snakes" are as well attractive as disturbing. This morphic wrapping is quite appealing because Alvarado knows how to play with his rhythms and his atmospheres. So the very good "Jewel of the Jackal" turns into a suave organic down-tempo. The sitar embellishes the twisted ambiences which teem such as industrial spectres over a virgin forest. It's very good, especially when the rhythm livens up of heaviness. I'm hearing Death in Vegas here. "Dunes (Drifting Waves Mix)" is another beautiful example with a very good down-tempo with some tribal airs of the Middle East. And the sitar is a real small delight to pepper the atmospheres. Black and very psychedelic, "Pixiu with Fortune" contains a claustrophobic cachet where some gone off the rails percussions resound like drops of water in a cave. The music adventure becomes more and more soaked with a veil of psychedelism. After a slow and imposing sound intro, "Adhene" explodes of an infectious sonic madness which risks to blow up your loudspeakers. "Sculpture of the Yali" plunges us into a universe of horror with its organic rhythm which beats under uncountable voices of witches on the hunt. "Andromeda at Dusk" calms down things a little with a more clement approach where the rhythm keeps silent in an immense immersive sound magma. 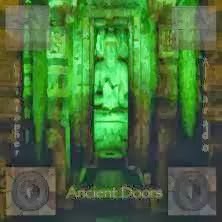 It's always noisy, it's always intense but it's a little less wild than the rest of “Ancient Doors” which is a stunning album where the industrial ambient music crosses black rhythms. It's not for all the ears but that remains extremely fascinating. To listen to with the same open-mindedness as Christopher Alvarado. Ah Internet! … Facebook, Bandcamp, CD Baby, ITunes, etc. … All platforms which allow, and encourage, a more wide selection for the consumers and a bigger freedom for the artists, the musicians. Neil Gardner is a very known on the social networks. He is behind the ambient music Facebook page while being a composer very appreciated for his ambient music fills by strong cinematographic aromas. “We are Infinite” is his 6th solo album and presents a dark, melancholic music which is a little similar with the beginning of Forrest Fang's career and mostly with Harold Budd s meditative music and acoustic approaches. We are going to the discovery of Neal Gardner's musical world with "The Universe Revealed and we Wept"; a delicate oniric melody which makes sing its fragile fluty chords in the stitches of a delicate hatched structure of which the soft jolts answer to the outlines of felted percussions. The beauty of “We are Infinite” lies in the elegies of its piano of which each and every note penetrates tone by tone the wall of our indifference. If this piano maybe downright austere and sinister, as in the very beautiful "Requiem", it can also be very melancholic, like in "The Truth, Magnificent Upon our Weary Shoulders", where it draws the frame of a sweet night-romance. The somber acoustic melody hangs onto the hearing, just like with "The Photograph Hangs on the Mirror, and I Miss You" and its moving sonic duel guitar/piano. This is very beautiful and each of the notes has the gift to make shiver the soul. And is to say about "Horizon on the Shore Eternal"? Its black piano is soaked of nostalgia and scatters its melancholic notes into some iridescent mists. It's the kind of melody that accompanies a broken heart on the ice floes of his solitude. It's as much disturbing as that may be that beautiful. And we could say the same thing about "The Unknowing will Set you Free". "Memories Fade, Dreams Recursive" plunges us into this soft whirlwind of a silky rhythm with a fascinating sound ballerina where every chord is hammered with sharpness and acuteness. One would say a symphonic ballad for children's stories. "We are Infinite" is a very ethereal piece of ambiospherical music where the synth lines outline the voices of a celestial choir which fights with its devils. "The Rain will Fall" sounds out of tune in this deep mourning mood where the spleen reigns as an insatiate mistress. The structure of rhythm marries a fascinating down-tempo which gallops in circles around a myriad of chords of which the harmonies are drawing some furtive moments of happiness. "Mandala" closes this initiation into Neal Gardner's universe with a soft pulsating bass line of which the pulsations paint a somber procession accompanied by strange harmonious breaths. Intimidated arpeggios dance over the waveforms of those minimalist pulsations, entailing "Mandala" in its continual delicate morphic spiral. 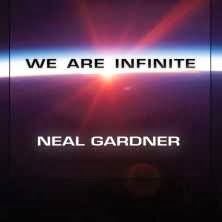 This “We are Infinite” from Neal Gardner is indeed a very beautiful album. A quiet one filled of sensibility and with a lot of emotionalism but also dark and very melancholic. Those who love the kind of meditative piano, whom is the ideal companion of our solo walks, will be delighted by this album to black's perfumes which deserves amply its place in an IPod beside Harold Budd, Forrest Fang, Darshan Ambient and even of these first works from Vangelis which titillated constantly any sort of nostalgia. “Solomode” is the dark side of Solodreams. Composed at the same time, the music has remained hidden in the recording tapes that the time mislaid in Frank Klare's musical boxes. With the revival of Solodreams, SynGate had the good idea of dusted these tapes, entrusting the remastering and the mixing to Pete Farn. The result is a trilogy of CD stemming from the same period which presents us an absolutely brilliant work, Solodreams, whose remainders are also fascinating as the main course. "Ultramode" awakens our hearing with a heavy buzzing line which serves as a long resounding brook to the synth breezes formed by musical breaths which are very familiar to us. A rosary of sequences escapes and draws a finely jerked pulsing rhythm which hiccups beneath the aegis of synth solos just as dreamy and spectral as in the beautiful analog period of Klaus Schulze. The rhythm of "Ultramode" follows its minimalist curve with a subtle gradation in the movement of which the intensity is much more nuanced by these mocking solos which try to put to sleep the a thousand and one spasms of a hypnotic rhythm which will drains its 13 minutes under the indefatigable attack of twisted solos. The title-track flies away delicately with a magma of layers in tones and fragile hybrid harmonies. We hear more musical lines elaborated some twisted solos which are contorting in the chthonian vapors of the slow layers of old organ, while that quite delicately is pulsating a sober lineal movement. This absent rhythm is like a homebird metronome which waddles in the stitches of a beast and its thousand sonic cables. A very beautiful movement of sequences comes to cheer up the frugality of "Solomode" and of its floating ambiences, accentuating a circular rhythm which dips the end of its musicality into a sonic puddle to the colors of sulfur. These harmonies cavort, run away and come back galloping in a series of small rhythmic and harmonious circles, a little as they was frightened by this tetanising mood which marks out a structure which is more ambient and more passive than livened up. "Polymode" offers a structure of rhythm more lively with a series of sequences which is drumming with fury in the drumming rolls of the percussions. It's an infectious rhythm, as much violent than hypnotic, which kisses a little the temper of Monomode, where the swiftness of sequences and percussions keeps staying on course of an infernal vertical dance tinted much more of harmonious nuances than rhythmic. There is enough in here to dismember the neck! As often, Frank Klare takes a jealous care of papering his long minimalist structures with ectoplasmic oddities which roam like erudite bats, as well as vampiric solos escaped from the orgies of spectres that we hear on Klaus Schulze's Body Love. It's very good, even if very furious. And the resemblance with Stardancer, in the conception and not in the finished product, takes all its meaning with its infernal finale. Always sat on movements of sequences which sparkle on heavy metronomic pulsations, Frank Klare always succeeds to develop structures of rhythms of which the slight differences make all the charms. Let's take "Melomode" and its very beautiful ectoplasmic melody which floats on a heavy rhythm where sequences, pulsations and percussions weave the frame of a Teutonic, minimalist and hypnotic electronic rock. I have to admit on the other hand that the bad quality of the original sources can affect a little bit the tolerance to the listening. But it gives you an idea of how good is the composer. And the more we move forward in this “Solomode” and the more we clearly hear the origins of Monomode, as well as the influences of Klaus Schulze's digital era. This is the case with monumental "Computermode" which, except of its intro stuffed with gurgling of extraterrestrials, kisses the Teutonic rhythms of Dziekuje Poland. If the rhythm is hammered of good mathematical percussions, the atmospheres come from an experimental cacophony where everything is holding up by magic. Frank Klare jumps from one subject to another with New Berlin School, good cosmic rock (do I hear a guitar bite its riffs?) and purely solid e-rock. It's a sound feast for risky ears. Still there, it's a pity that the whole thing comes from old tapes because the sound degrades by moments. But nevertheless, we can admire at full satisfaction Frank Schulze's great talent. Oops … Klaus Klare. Ergh…You know what I mean. 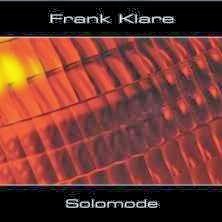 Solodreams, “Solomode” and Monomode are 3 inseparable works of which the musical main lines turn around the big works of Klaus Schulze while adding to it some rhythmic themes closer of Frank Klare's visions. It's a superb crossing between the retro and New Berlin School where I just can't figure out how this music was able to escape the timid invasion of the international markets begun by Software and the Innovative Communication label in the middle of the 80's. Although “Solomode” is not exactly Solodreams nor Monomode, there is some great EM all over it which is amply worth its purchase. And don't forget when you buy Solodreams and this “Solomode” you get Monomode free. This is quite a great way of approaching Frank Klare's universe that will always be faithful to his roots and his influences. SynGate develops with panache a plan to make discover besides borders all of Frank Klare's talent. Those who have the chance to know the Berlin School style since the moons, appreciate the works of Frank Klare; a synthesist very inspired by the analog years of Klaus Schulze and Tangerine Dream. “Monomode” is an album offered in bonus when you buy Solodreams and Solomode; two works which highlight all the talent of the German musician to compose hypnotic structures and Teutonic rhythms of Berlin School with a subtle orientation towards the New Berlin School. Consisted of the two long parts of Monomode, that we find on Solodreams, linked into a long piece of 52 minutes, “Monomode” remains a major work that Frank Klare has composed in 1986 while he was with SYNCO. At that time, only the 2nd part, entitled simply Monomode appeared on Solodreams. 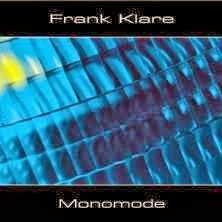 The republications of his albums on SynGate was going to give birth to this majestic work where Frank Klare dusted his souvenirs and offered the 1st part of Monomode that Pete Farn remixed into a long track of EM which is going to please to the ardent fans of Klaus Schulze. A soft line of synth drags a shadow of an old organ to open the first seconds of "Monomode". It's a floating, soothing intro a bit filled by mystery where are hatching out some electronic tones which quietly invades our ears. Another delicate synth line develops sweet ethereal singings which float like these old messages of Klaus Schulze in this ambience where grumble some resonant sighs. And we hear! A little before the 5th minute, we hear this movement of sequence make waddle its ions through the soft analog perfumes of a charming synth. The rhythm remains as delicate as its atmosphere which doesn't stop hatching it. We hear sparkle and sing the shade of the keys which rock and run such as imps in a forest enchanted by the twisted singings of synthetised hummingbirds. As much quietly as subtly, the delicate hypnotic rhythm of "Monomode" evolves throughout its nuances, both in rhythms as harmonies. The elytrons of steel give to this rhythm more cracklings while it's teaming up to a scraggy melodic shadow and its fine solos which grind like some witches' caresses on a structure about which the fragility keeps silent to let dance more starving keys. These hypnotic keys continue to skip on the spot. Their rhythmic jolts reach a bigger velocity and entail the stubborn beat of "Monomode" in the heat of a heavy bass line. That's beautiful. Hypnotic and charming, "Monomode" hits strongly our eardrums with a rhythm, always so minimalist, which becomes heavier around the 18th minute while this rhythm swindles the ambiences with a heaviness and a velocity organized by pulsations which hammer a linear leaden rhythm, rock kind of percussions and sequences which flicker with restlessness. We are deep in a fusion of Body Love and Timewind. The atmospheres are hiding in some evasive waves of organ and ghostly synth lines of which the musical veil is pierced by solos which cut out, with a superb musicality, a rhythm which pulses with some more of vigour, while sequences get more aggressive and solos more assassins, as long as our ears demand a truce. Link into a long piece of music, I have to admit that I so prefer this way, or still pricked in Solodreams, “Monomode” remains an inescapable work for all those who fed on these huge improvised surges by Klaus Schulze. It's an electronic symphony where the minimalist art was never so lively. Brilliant and the time have no hold on it. Thank you SynGate! Thank you for making us discover some EM hidden treasures, in particular from the Berlin School style. 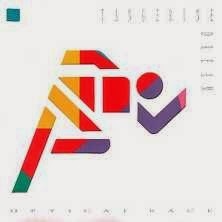 Frank Klare is a brilliant German musician/synthesist whose talent has never overtaken the borders of his country. Strongly soaked by the musical vapors of Klaus Schulze and Tangerine Dream, he is interested by EM at a very young age and created with Mirko Lüthge the group SYNCO (for SYNthesizer COoperation) in the middle of the 80's. The duet buys then equipments and instruments from Tangerine Dream and Klaus Schulze. They compose an EM which is inspired by the new wave of electronic digital sound, while having a strong penchant for the long musical structures of former days. SYNCO will release 5 cassettes between 1985 and 1993, all out of print since years and of which we can find the charms on the other hand on 2 compilations offered by SynGate. In parallel Frank Klare begins a solo career which comprises about twenty cassettes or albums since his very first one; “Solodreams” back in 1986. Firstly released in cassette, “Solodreams” was out of print for a long time and popped out on bootlegged versions during the Napster years. The German label SynGate, always in its quest to make discover the most beautiful jewels of contemporary EM, dusts the tablets of time and releases a version, remasterised by Pete Farn, of “Solodreams”. Sat up on the same precepts as SYNCO, we hear through “Solodreams” a clear influence for the fiery rhythms and the melodic structures of Tangerine Dream and especially for the long hypnotic crescendos of Klaus Schulze with the magnificent "Monomode (Part II)" which is high inspired by the Timewind and Moondawn eras. The project of SynGate is ambitious. Besides remasterised “Solodreams” Pete Farn works on some unreleased new music that Klare wrote in the course of his first solo years and mixes an album entitled Solomode. Now each album, “Solodreams” and Solomode, can be bought separately. But if you buy both albums you will also receive a bonus album which consists as a long remixed track of both "Monomode (Part I)" and "Monomode (Part II)"; the Monomode album. Audacious project, because the limitations of the sources are sounding with all the charms of former days. In brief, it is a real return in time with the wonderful surprise which opens “Solodreams” for the greatest pleasure of the Epicureans ears. We can't speak about "Monomode", both parts, without making constantly links with the ambiospheric and floating structures of Klaus Schulze and of his Body Love years. The hooting of the electronic bats and the fine shy solos which unwind their twisted harmonies in some nebulas mists which catch the crescendo of a ghost rhythm are magnificent elements which converted thousands of followers to the music of Klaus Schulze. And this is just not an imitation. It's a work that would have easily slide in between Moondawn and Body Love. I will speak more in depth about "Monomode (Part I)", which is a bonus track here, and "Monomode (Part II)" with a coming review of Monomode. Except that I can already say to you that we have here 55 minutes of pure analog happiness. Simply magical! Soft synth lines are waving in a paradisiacal sky where stars sing with delicate dreamy solos. After this soft oniric intro, "New Age" hangs on to a Teutonic rhythm which pounds with its arrhythmic jolts under some fine solos of which the harmonies, as fluty as digital, remind strongly the universe of Tangerine Dream. This is a very charming track. "Sequence Spheres" lets hear a pulsing conveyor where the sequences stamp ardently around heavy pulsations. It's a rhythm in two lively parallel phases which evolves subtly towards a heavy synth pop where are singing lyrical and melodious synth solos. "Fantasia" pops out from the electronic limbs with harmonious slender impulses from synthesizers which quietly let hear a sonic and rhythmic pattern which breaths the Thief soundtrack still from Tangerine Dream. Although the melodious approach differs, the linear rhythm of "Rhythm Runner" approaches the one of "Sequence Spheres" with indomitable sequences which sparkle and skip on the resonances of the pulsations and the gallop of the percussions. The harmonious envelope is rather difficult to describe, but the musical ambiences of the Dream are teeming all over the 4 minutes 38. As well as these surprising percussions and/or sequences which resound as wooden castanets. This is quite catchy and really brilliant. Also very ear attractive, "Living Dreams" weaves a superb musical itch where the rhythm and the harmonies embrace those soundtracks of the romantic French movies of the 70's. It's a beautiful electronic ballad of which the analog perfumes flow all over these very catchy melodic phases that the Dream used to hide in their long structures of former days. "Monomode (Part II)" enclosed a cassette, from which the charms should of never have been cloistered, with a heavy pulsating rhythm where the crystalline spectres of Schulze decorated a heavy crescendo that I will speak to you in Monomode. In spite of its old-fashioned sounding, its limited tape sources, its Teutonic rhythms and harmonies which remind indefatigably the beautiful years where EM exploded of all its charms, as analog as digital, this “Solodreams” from Frank Klare remains an essential work to have. It is a real hearing journey in time with structures, rhythms and melodies where we can affix it a sigh, a souvenir. We close our eyes and we remember ourselves the harmonies of the Dream, the sequencing of Chris Franke and the breathlessness of the rhythms fed by his bucolic percussions. And Monomode? Ah...this is another story. And a whole quite one which is simply brilliant. I absolutely have to talk about this new compilation concocted by the American label Projekt Records. Not just because it's sold at a ridiculously low price ($8.00 on the Projekt Bandcamp download platform). Not just because it comes from a label which favors dark and experimental EM. No! Because it groups the fruit of 8 artists, among which a famous return of Synergy, and 7 original compositions that you won't find anywhere else. “Possibilities of Circumstance” is an eclectic compilation which plunges us into the core of this impressive label music freed of any commercial constraints. And it's not because it's not commercial that it's not beautiful, nor well. On the contrary. Some delicate ringings sing among angelic voices, opening the ambient corridors of "Consumed by Sunlight". Contrary to the SteveRoach's last works, except for the wonderful Today from the non less wonderful Live Transmission-From the Drone Zones at Soma FM, "Consumed by Sunlight" offers a silkier version of SteveRoach's universe. The ambient rhythm is drinking of the delicate jolts of a bass line of which the furtive chords dance in accordance with these glass ringings and these breezes of synth which split up their melodies into some vocal breaths and translucent lines. This is a good piece of music which joins the quiet rhythms of Western Spaces and Landmass. We fall in another register with "Lazy Arc" from Tim Story & Roedelius. This extract, from an album due soon, is a lugubrious lullaby for tortured souls where an obsessing reverie, played on a somber melancholic piano, gets into the deepest of our melancholy. It's a mesmerizing quiet piece of music where are blowing winds, dark voices and are squeaking tones of a parallel world. These tones, which float like ghost threats, erode quietly the somber dreamy melody in order to absorb it completely around the middle part. Follows a slow fight between the harmonies and its abstract mirror, where the notes of piano go out defeated. They dance delicately with a ghost knight whose floating tears and the knocks of clogs of his horse are now the bed of this strange paranormal procession that is "Lazy Arc". From a soft procession to ghostly aromas, we pass in another one just as much mysterious but more livened up with "Callyx" that Robert Rich had presented on his Medecine Box album in 2011. It's rather stunning how it sounds different here in a musical context which has nothing to envy to Medecine Box. The rhythm is delicately drummed by docile pulsations which marry the knells of the carillons, making caresses of clogs on a clammy earth. Quite slowly "Callyx" offers a beautiful crescendo from which the scale gets lost in this sound texture where are shinning the lamentations of guitars and their razor-sharp floating breezes. There is a strong influence of Berlin School hypnotic movements on "There's Always Tomorrow", from Ulrich Schnauss & Mark Peters upcoming album; Tomorrow is Another Day. The track offers a very beautiful minimalist structure where the sequences dance and spin in a harmonious mess. They skip and pile up in the shadows of their harmonies and in the breezes of carillons to thousand prisms before being snatched up by a guitar with riffs more powerful than its grouchy solos. That promises! I already look forward to hearing this next album. Oh did I was anxious to hear this new Synergy track! First reaction? Confusion! The intro is black and offers a lugubrious theatrical approach deserving of an industrial apocalyptic vision. The first two minutes are distressing. We feel a kind of ambiospherical pressure getting on the edge. We feel that it's going to burst. And it bursts a little after the second minute with a great percussions pattern which rage in a kind of tribal rhythm. The synths are very theatrical with their sinister harmonies which cover a rhythm of post apocalyptic clanic war. In fact, "Tower Indigo" awakens in me some recollections of Metropolitan Suite. I liked it a lot. When a complete album? My sources told me that Larry Fast is really thinking of making one soon. After this mixture of aboriginal and industrial rhythm, "Mapping the Autumn Sky", from Jeff Pearce, leads us towards the ambient spheres of “Possibilities of Circumstance”. The track is dark and rests on a mixture of synth and guitars lines which float in a dark harmony pushed by the slow autumn winds. There is a lot of intensity in this arrhythmic movement where we hear singing the air and the winds which interlace in a surprising autumnal symphony. Amazingly, I listen to "Mapping the Autumn Sky" in front of my bay windows which kiss of their transparency the colors of autumn and its leaves which float above the surface of a river with red, yellow and orange colour spots. There are moments like that where the music is so much magical. "Recuerdos De Luna" is the blackest track on this compilation. Nathan Youngblood & Soriah weave a dark ambience where float abstruse winds. I hear swing to collide, like chains and carillons which are trembling and ringing in these winds which regurgitate some droning tremors of shamanic voices. Yeah, this is quite uneasy. Erik Wollo's "Misty Blue" ends “Possibilities of Circumstance” with a lively rhythm. A rhythm finely vigorous where the movement of sequences draw a fine carousel surrounded by mists of synth with sonic particles delicately lyrical. Another line of synth shapes the main harmonies which sing like these soft laments tinted with romantic that we find in Patrick O'Hearn's repertoire. It's not just beautiful, it's bewitching and it digs furrows straight to the soul. Damned that this Wollo is good! 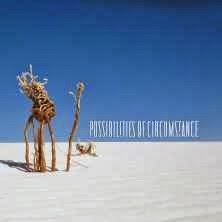 “Possibilities of Circumstance” is a superb compilation where the eclecticism distorts not at all this fascinating harmonious pattern that flows from the first seconds of "Consumed by Sunlight". The symbiosis which unites each piece of music is such as that we never have the impression to be in the chinks of a compilation. There is a crescendo which reaches its peak with "Tower Indigo", afterward the black and intriguing ambiences bring us towards Erik Wollo's harmonious sunbeams. Out of this world! There is no weakness, there are no dead moments. Strongly recommendable! And with this so low price, there is no reason for not getting this excellent compilation of the label Projekt.